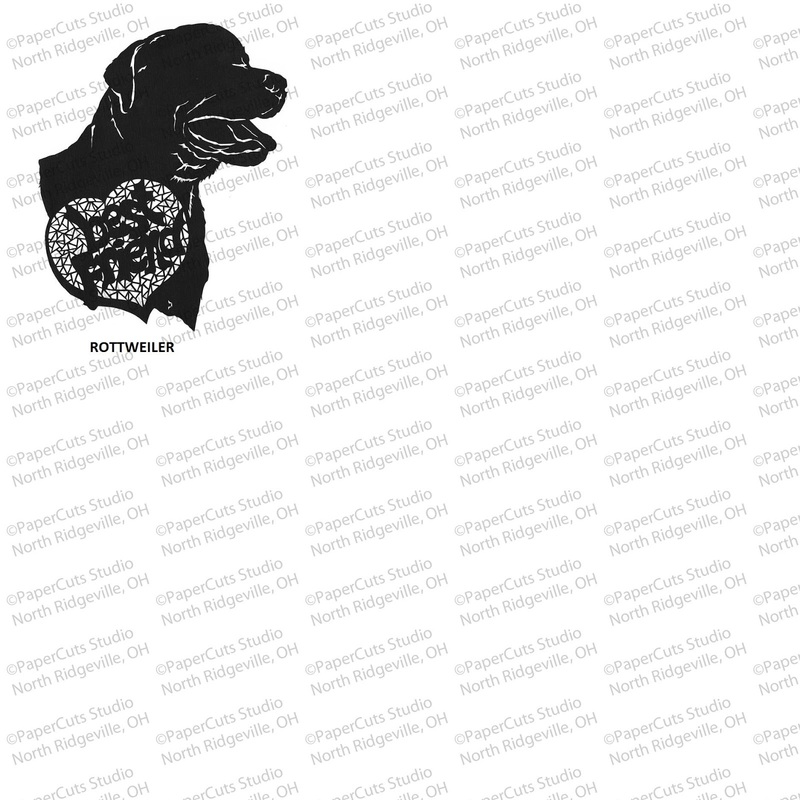 I have finished and added 4 new pieces to the memorial cutting listing- a Beagle, a second German Shepherd, a Whippet, and a Rottweiler. A couple of these are already sold, but if you like the looks of one of the sold ones, let me know and I can make sure the recut of that one is next on my list! I also have a shorthaired cat and a Newfoundland in progress on the cutting table- will share pictures of those as well in the next couple weeks. I have added an Australian Shepherd, a Boston Terrier, and a Siberian Husky. Plus a fluffy long-haired cat so the feline end of the population doesn't feel left out! I have a short-haired cat in the works too, plus a number of other dog breeds. 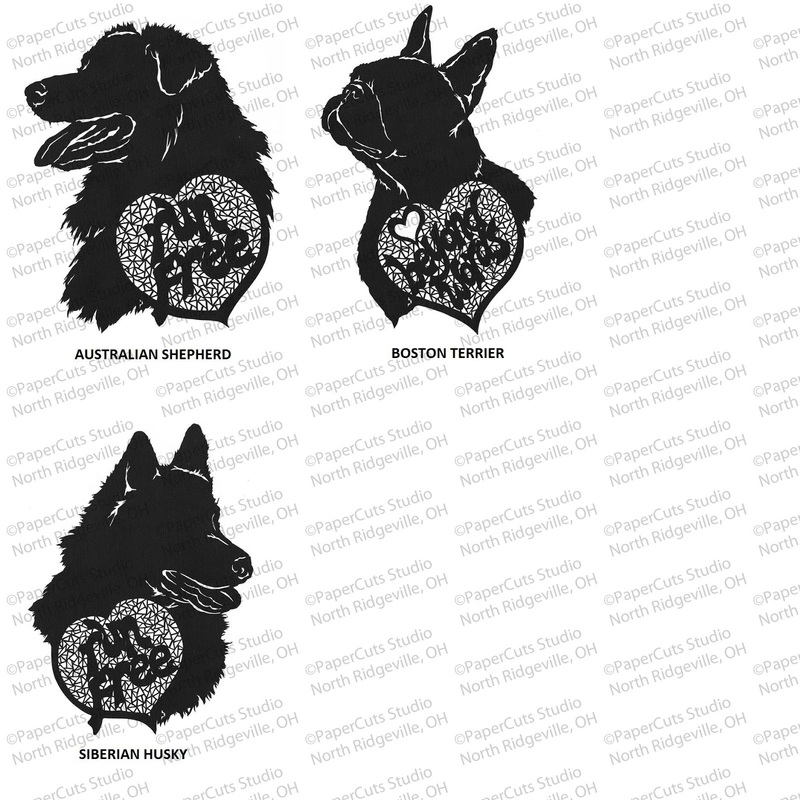 The Labrador Retriever, the German Shepherd, and the Samoyed from the previous post are all sold out, but I do have them on my list to recut. Feel free to drop me a note if you are ready to get your breed and I can bump it up in the cutting list! First set of memorial silhouettes up on Etsy! 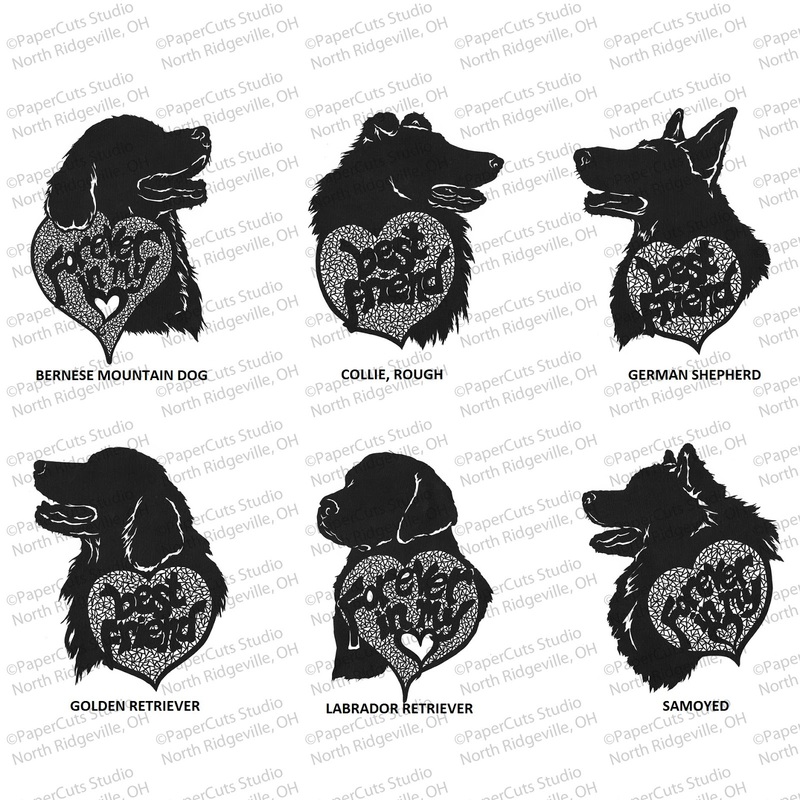 I have been working on a set of simpler dog-breed memorial silhouette cuttings with wording, and I just got the first batch up on Etsy this morning. Bernese Mountain Dog, Rough Collie, German Shepherd, Golden Retriever, Labrador Retriever, Samoyed. More coming soon! Memorialize a beloved companion, celebrate the dogs you love, or gift a friend who lost a loved one. One hand-cut paper silhouette-style dog portrait with mosaic-cut heart and wording. These dog pieces are my original designs from photos I have taken and sketches I have made, and are cut individually by hand with a craft knife. Since the pieces are cut by hand and the mosaic design is cut free-hand, the layout may vary slightly from piece to piece- the pieces pictured above are just samples. 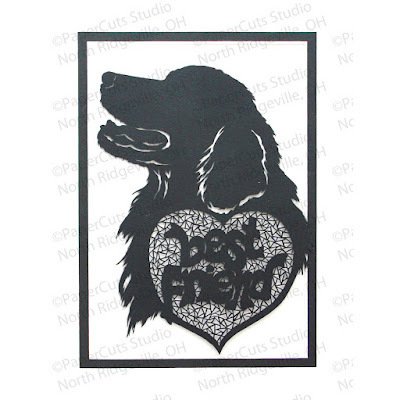 I only cut one piece of a breed design at a time, so if your breed is pictured/listed but not available, someone else probably just got to it first and I am likely in the process of re-cutting the design. Feel free to reach out and let me know you are waiting for it, and I can make sure it is at the top of my list. You will receive the cutting itself with no attached backing or matting, packaged to keep it from being bent or damaged in transit. Cuttings are approximately 6" x 4". *NOTE* the reverse/backward side of the cutting may have some glue, paper, or pencil marking since this is the side I work from while cutting. The cutting will be attached to a white acid-free backer board, matted with your choice of white and black or double-white matting (external mat dimensions of 8" x 10"), and enclosed in a clear plastic envelope for protection. 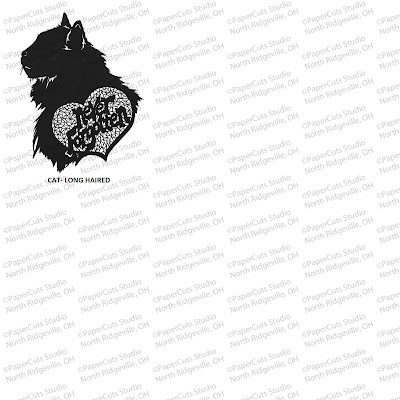 I can make any of my pictured dog breed silhouettes with different wording (with limits on the wording length and content), in most cases with a couple weeks to a month lead time. If (in my judgement) the wording you choose is common enough phrasing that I can continue to use the design after I make it for you, the cutting could be priced the same as the stock listing. If you want your dog's name or something more personal, there would be a custom work charge in addition. Please contact me for details. And if you really want the silhouette to be of your OWN dog (mixed breed, doesn't resemble the breed standard, s/he is just super awesome and distinctive and needs to be memorialized individually), I can do a custom silhouette from your appropriate photo. Custom work charges will apply to this as well. 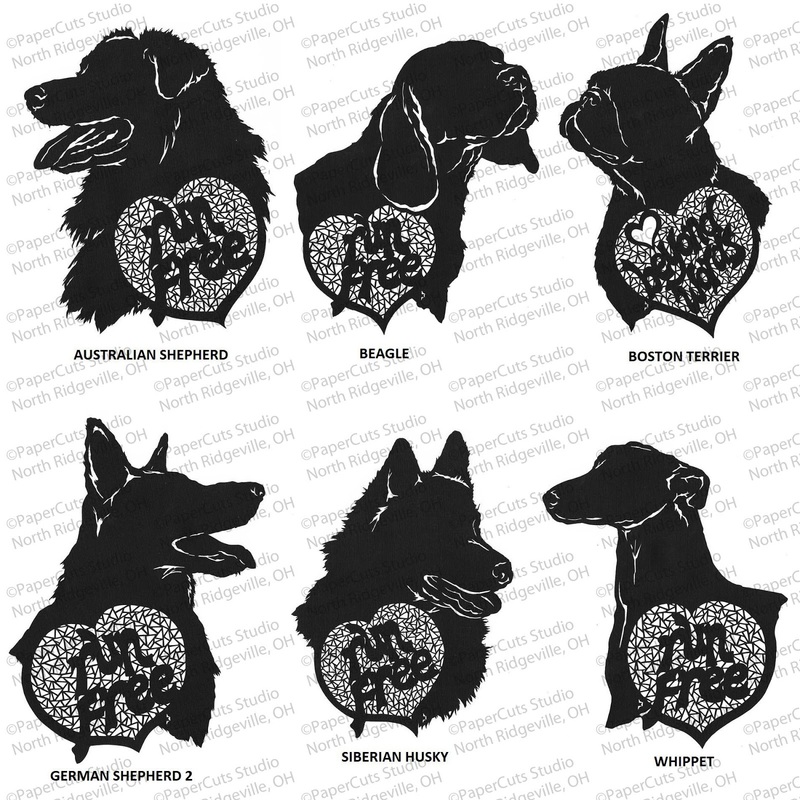 I can also do any of the pictured dog silhouettes in a larger size.